The PLuS Alliance “GLAM+University Collaborative Ecologies” teams are delighted to announce our 2017 “Migration, Mobility, and Belonging” Seed Grant Awardees. These projects highlight the experiences and creative and entrepreneurial work being done by migrant communities across the globe. Each project is an innovative transdisciplinary collaboration that includes migrant communities, artists, GLAM professionals, university researchers, and civic supporters. Highlighting both the powerful contributions of migrants across cultures and the challenges they face within new systems, communities, and countries, the projects below also foreground the development of GLAM and University practices that are ethical and sustainable for the communities they seek to serve. 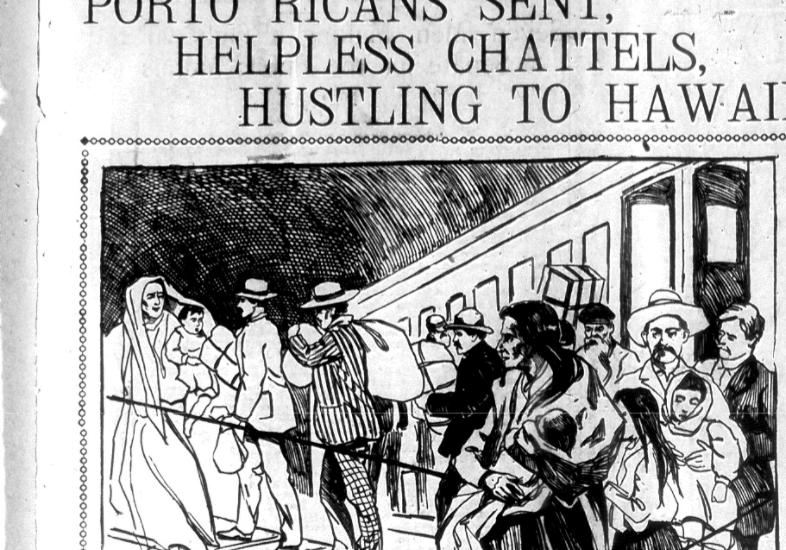 The Arizona State University team is partnering with the Smithsonian National Museum of American History and supporting two projects that highlight experiences of Latinx migration in the United States. This project looks at the journeys and experiences of Cubans who came to the United States as unaccompanied children via Operation Pedro Pan in the early 1960s, and of those who fled the island as balseros—rafters—beginning in the mid-1990s. The project conducted oral histories and acquired collections documenting the legacy of Cuban migration to the United States. Exiles in America will showcase its findings online through a National Museum of American History webpage as well as in the NMAH exhibit Many Voices, One Nation schedule to open July of 2017. 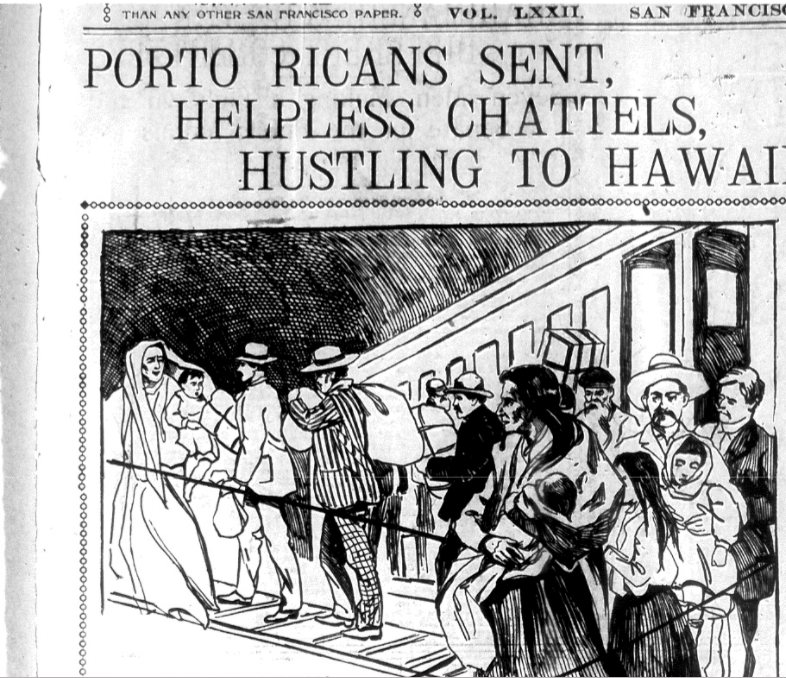 As Latinxs seek opportunities beyond the western hemisphere due to political, social and economic conditions in the United States, Latin America, and the Carribean, migrants have navigated beyond terrestrial borders and into aquatic borderlands, or what Native Hawaiian historian Isaiah Helekunihi Walker calls the “boarder-lands” of Oceania. For Walker, the kapo’ina nalu (surf zone) is a unique boarder-land, “a place where differences converge and social norms are often fluid,” much in the way U.S./Mexico borderlands have been viewed by scholars in Chicana/o Studies, such as the late philosopher Gloria Anzaldúa. As she also noted in her seminal work Borderlands/ La Frontera, “a borderland is a vague and undetermined place created by the emotional residue of an unnatural boundary. It is a constant state of transition.” It is in this context that we utilize Walker’s boarder-land in this proposal to distinguish the ocean as the site of crossing, converging, and perpetual transition, with both moments of tension and fusion. The Kings College London Team is supporting “Confined Hearts,” a collaboration with Sydney based artist Penny Ryan who is developing her arts project Confined Hearts for a UK based set of workshops at Kings. 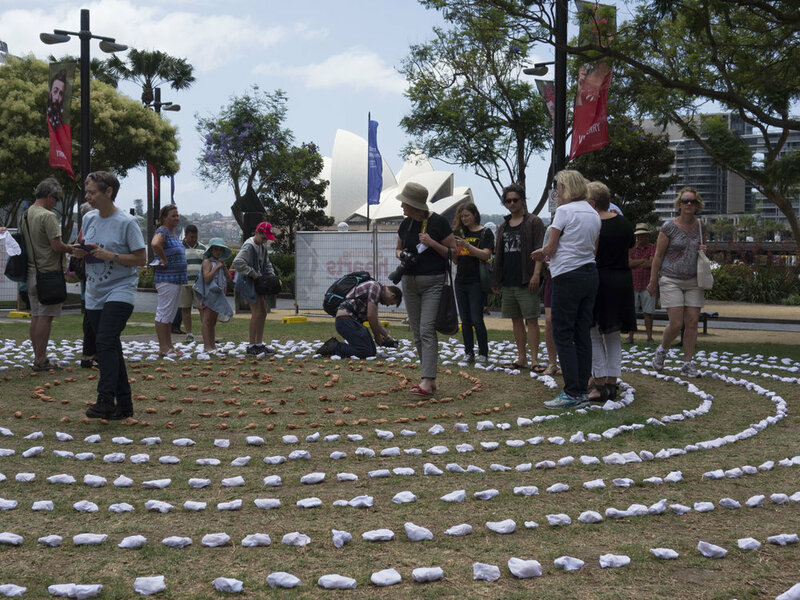 Confined Hearts is a participatory installation that involves people making hundreds of ceramic hearts to raise awareness and empathy for child migrants who are currently held in detention centers on British territory. Additionally, Confined Hearts will be working with London-based Museum of Migration to develop programming on this project. The project team at University New South Wales is working in collaboration with Abimbola Adugbeson and partnering with regional GLAM institutions, which may include Artspace and the Murray Art Museum Albury (MAMA). The outcomes of this project will emerge through a collaborative process and dialogues with our partners and refugee and migrant communities and will be hosted at the partner GLAM institutions. Coordinated by ASU faculty Jacqueline Wernimont and Matthew Garcia, the MMBCE program will be supported by the PLuS Alliance and ASU’s IHR Nexus Lab, a national leader in digital humanities work and public engagement. Wernimont will consult with teams throughout the process and the entire collaborative will gather in Sydney in the summer of 2018 to assess our efforts and to produce a white paper with best practices for culturally sensitive and ethical collaboration with migrant communities. By “migration,” we mean the historic, (often)voluntary migrations that contributed to the settler colonial nations the United States and Australia are partly founded upon. Critically, however, we also mean forced migrations that include slavery and human displacements that are a consequence of limited options–from the movement of people due to political turmoil and war, to the ones precipitated by global economic inequality and exploitation and, increasingly, environmental change. We also mean the migrations that were forced onto indigenous peoples of settler-colonies of Australia and the United States by European Empires. GLAM institutions and universities are well placed to build better understanding of the highly complex historical and contemporary experiences of migration. For example, institutional entities like museums and universities have historic ties to the violence of both forced and voluntary migration; they are also the sites that people – both the public and researchers – turn to in order to find the traces of marginalized subjects in our respective cultures. Further, as cultural infrastructures, GLAM institutions and Universities must grapple with the complicated – often very vertical – power networks that flow through our work and institutions. These include, in the case of the United States and Australia, our shared historical realities as settler-colonial nations. On the one hand, the issues around migration and belonging are constitutive of the work we do in terms of exhibiting and interpreting our cultural heritage as scholars, curators, and public historians. On the other, the infrastructures that make this work possible have been – or can be – radically transformed by 21st century technologies and social practices. Consequently, GLAM + Universities are sites where these tensions around mobility and infrastructure enable us to forge new narratives about who we are, what we hope to become, and the tools we want to craft for the future. They are also the sites where we can and must develop new methods and relationships for 21st century scholarship and civic engagement. Each of these projects will enable our teams to experiment with best practices for social, ethical, political, and technological/digital infrastructures for GLAM+University research (GLAM = Galleries, Libraries, Archives, and Museums). It prioritizes relationship building/partnerships and programming (exhibitions, knowledge sharing events, other dialogical formats etc.) that are led by or are in collaboration with those who have been affected by migration (in the expanded sense we define below) as a means to begin to shape and re-shape cultural institutions collectively. We are committed to supporting impacted communities with the creation of collaborative, multi-institutional, publicly engaged cultural ecologies for knowledge creation and sharing. The PLuS Alliance is a partnership of Arizona State University, King’s College London, and University of New South Wales.